Peanut butter and jelly sandwiches are classic favorites that almost everyone loves. 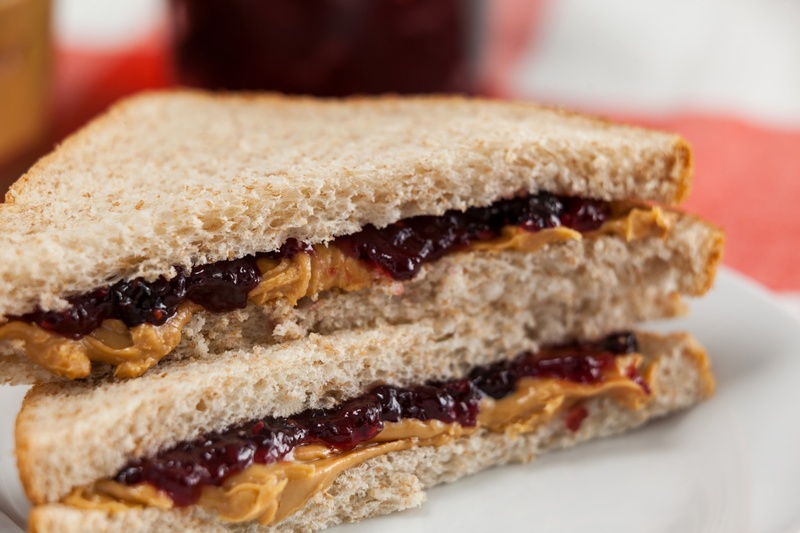 In fact, the sandwich is so popular that it has its own day; National Peanut Butter and Jelly Day was April 2. In honor of this classic, versatile favorite sandwich, here are 13 PB&J upgrades you and your kids will love. It’ll add a little extra sweetness. Bananas are the most popular, but other fruits can be delicious too. Try strawberries with blackberry jam, apples with apple butter or blueberries with strawberry jelly. The saltiness and crunchiness really take the classic peanut butter and grape jelly to a whole new level. This chocolate-hazelnut spread will add some heartiness to your sandwich. Technically, your sandwich won’t be a PB&J anymore, but it’ll be delicious! You can still add the jelly if you like as well. This is especially tasty with a pineapple jam or peach jelly. Who doesn’t love bacon? You can add fresh, hot bacon or use leftovers from breakfast—either way, this is majorly delicious. Texture is a great way to add flavor to a sandwich, and you can have a lot of fun with different flavors of cereal. Spread a layer of cream cheese or softened brie, or use a slice of cheddar (especially with apple butter) to add richness to your PB&J. Experiment with your favorite cheeses to find the combination that you love the most. The bread will be toasty and warm, and the peanut butter and jelly (and anything else you’ve added) will be melty and gooey. Mmm! You could even sprinkle a little bit of powdered sugar for extra decadence. This will make your sandwich crispy and create little pockets of deliciousness. Yum! Combine several of these ideas to go all out and make the most decadent PB&J ever.